With Shure Microflex Wireless Series, rest easy knowing you have a fully integrated, easy-to-use, high-quality audio system. This complete microphone solution ensures flexible and successful experiences for meeting rooms and boardrooms and includes a variety of components. 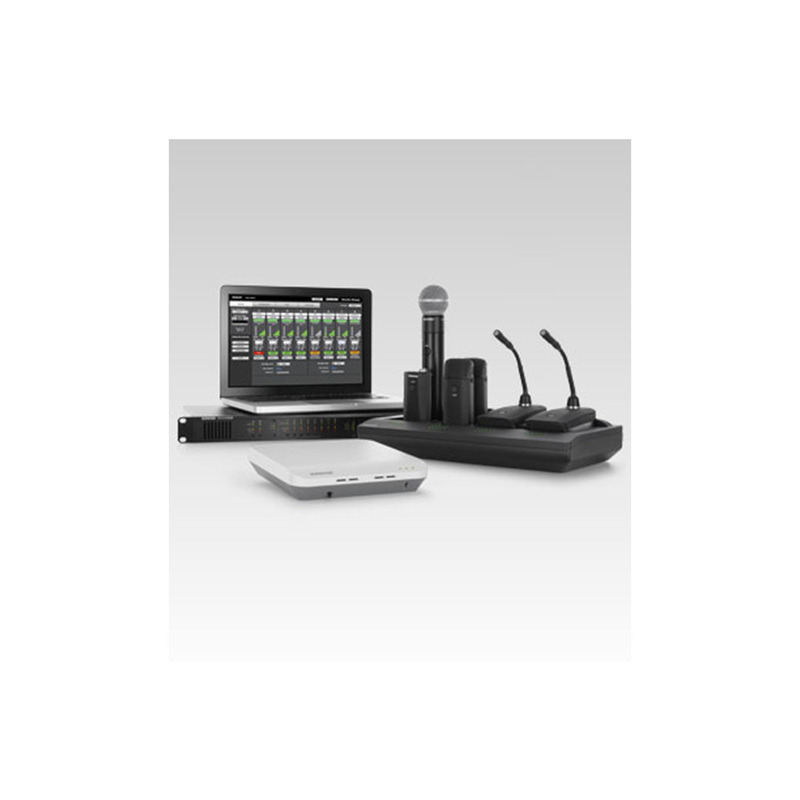 Rechargeable, encrypted wireless microphone transmitters, a networked charging station, MXW control software, an audio network interface, and an access point transceiver all ensure the highest-quality solution for a revolutionary communication system.